“Return (the marbles), Restore (Parthenon), Restart (history)” is the title of a new international campaign for the reunification of the Parthenon Marbles launched by UNESCO Goodwill Ambassador Marianna V. Vardinoyannis. 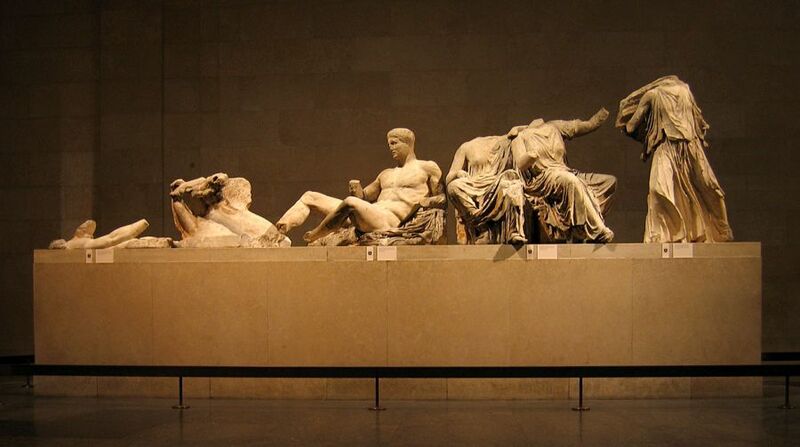 The campaign – carried out in collaboration with the Melina Mercouri Foundation – aims to continue and intensify the effort of returning the Parthenon Marbles to Greece from the British Museum in London. “To restore the unity and integrity of the Parthenon Marbles, the largest monument of cultural heritage,” Mrs. Vardinoyannis informed journalists during a press conference held at the Acropolis Museum on 24 June. The campaign will launch with an international meeting entitled “The Parthenon, the integrity of a monument-symbol, the role of citizens, an international campaign,” to be held on Thursday 26 June at the Acropolis Museum. Greek and foreign experts and activists will participate. Following the conference, a nationwide survey among the Greeks on the importance of the return of the Marbles will be held for the first time. The results of the conference and the survey will be submitted by Mrs. Vardinoyannis to the director-general of UNESCO, Irina Bokova, during the annual meeting of UNESCO’s Goodwill Ambassadors, scheduled to be be held in Paris, France, on 30 June.